Dental veneers are wafer-thin shells of porcelain that can be customized to fit your unique smile. They are bonded to the fronts of your teeth and can be used to treat numerous cosmetic issues, including stains, chips, misalignments, misshapen teeth and other damage or abnormalities. 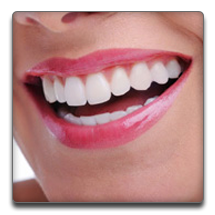 Our expert for dental veneers in Torrance can use dental veneers to completely transform a smile from ordinary to extraordinary. Dental veneers are made of translucent ceramic, which allows the light to penetrate and reflect just like it does with your own natural teeth. They can be used alone or as part of a smile makeover that includes teeth whitening, orthodontics or other procedures to enhance or correct the appearance of your smile. Highly durable, dental veneers are strong, stain resistant and can remain in place up to 20 years or more. If you are a candidate for dental veneers, our Torrance dental veneers dentist can often create your new smile in as few as two dental visits. At your first appointment, your teeth will be prepared, a process that may require the removal of a small amount of dental enamel. Your teeth may be gently buffed or reshaped, and dental impressions or molds will be taken so that the dental lab can create your new veneers. The right shade will be chosen based on a number of factors that consider your needs and goals. At your second visit, our expert for dental veneers in Torrance will use a special etching liquid to roughen the surface of your teeth and ensure a strong, durable bond. The veneers will be checked again for fit and color, and then special cement activated by light will be used to bond the veneers to your teeth. Although dental veneers are strong and long lasting, you can take steps to keep them in good shape for life. Avoid using your teeth as tools, which can cause your restoration to fracture, and avoid drinking large amounts of alcohol, which can dissolve the bonding. Brush twice a day, floss every day and visit our expert for dental veneers in Torrance every six months to keep your smile healthy and looking great.